Recently, through a series of very fortunate circumstances I was able to spend time with Dr. Michael Waters the founding pastor of Joy Tabernacle, AME in Dallas, Texas. Dr. Waters holds an M.Div & D.Min with honors from the Perkins School of Theology at Southern Methodist University. 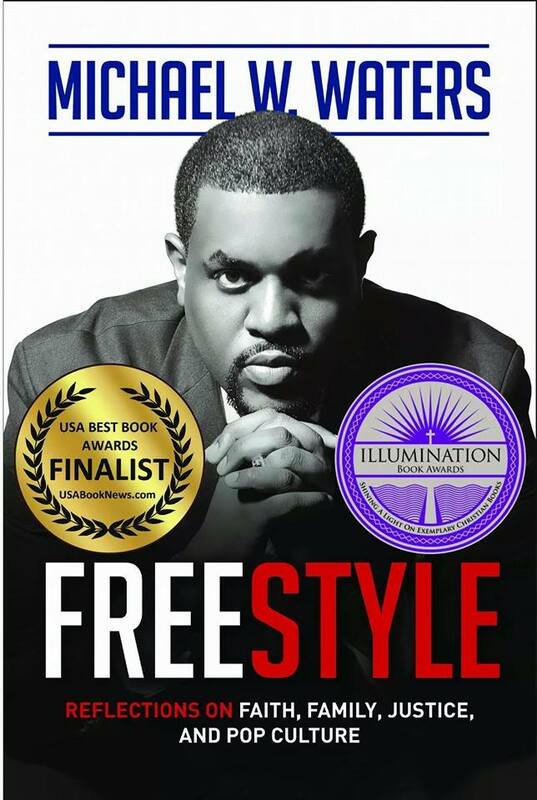 He is a sought after speaker and leader and has been a frequent commentator on current issues such as Ferguson, Baltimore & Charleston to name a few. He is a rising star of his generation fighting for the sake of souls, neighborhood, community & nation along the lines of truth & justice. Weeks ago I was able to have dinner with Michael, his family and a friend and I walked away from that moment saying, “WOW.” As a consumer of the news, passionate about current events and a lover of history I learned so much from his perspective. Let’s not beat around the bush this post is about racism in America and the situation we find ourselves in. America in the 21st century isn’t solely about the progress we have made but about wounds resulting from long-standing, systemic racial injustice that is part of our history and present. To highlight this truth the African-American community has been prophetically speaking about these wounds and the lasting results of racism that still effect many today. In my estimation America’s response has largely been to ignore and minimize these voices by hiding behind terms such as progress and post-racial while pointing to achievements of the Civil Rights movement as if 50 years removed from State sponsored oppression heals all wounds. Our American culture has been hiding deep within the meaning of such phrases pretending that all is well while pointing to other programs like the War on Poverty, Social Welfare and Affirmative Action as proof positive that we are healed from the Cancer of Racism. All this while authentic voices like Dr. Michael Waters have been crying out, desperately trying to get America’s attention, sharing the truth about the deep wounds still felt today within the African-American community. I was generally aware of these voices since my love of reading brought me to explore the biographies of such leaders like Martin Luther King, Malcolm X and Clarence Thomas. Most recently I took time and watched the documentary of NAS on Michael’s encouragement. It was well worth my time. I believe my efforts to understand over the years has been fairly thorough. However, I have to admit that, as a white man, I was unaware of the depth of African-American pain and the complexity of current struggles that still exist today. I think many others within our society are also unaware due to ignorance, widespread polarization of American society and the trend that many are simply too busy to be bothered. However, as a follower of Jesus and a member of the Church Christians should be first in line to be our “brothers keeper” with a “desire to walk a mile in their shoes” to gain clear understanding – right? Therefore, I have recommitted myself to learn, to think, and to meditate on the message these prophets are bringing to the Church and culture today. Yes, it is true that progress has been made. Many within this newest generation see race differently. However, these and other facts about progress shouldn’t sway us from engaging in meaningful dialogue about the current struggle. Others, including myself, have sought out mentors within the African-American community to dialogue with, listen to and even gain healing related to prejudice found within our being. The fact that we can point to progress does not diminish other facts like our ignorance of the message behind the Prophetic Black Voice within Church and culture. We ignore their voice at our own peril. As a blogger and an attendee of New Media conferences we are always celebrating technology (in its many forms) and the fruit of technology which is connectivity and conversation. In the same way technology has now connected us personally to horrific events such as the videos of Eric Garner and Walter Scotts untimely deaths. Technology has given us a bird’s-eye view and opened our eyes to the fact that things are not as they ought nor necessarily as they are being reported. We should take these facts and seek honesty in the conversation regarding race, racial bias and the effects of historic racism in our country. I am an optimist. I believe that many if not most really want our culture / society to be genuinely post-racial. However, arriving at those shores will take time, a willingness from racial majorities to listen, to ask for the story to be told and a willingness to carry that burden of the many still alive that live with the tangible effects of State sponsored racial oppression. Although 50 years removed from the signing of the Civil Rights Act of 1964 the wounded, their children and their children’s children still live with the burdens that wounds of this magnitude created. It is high time that we just get honest, rid ourselves of any personal or societal racial bias that still exist and begin the process of correcting the sins of the past in tangible ways.